In this blog post, I will look back on the past year and share with you the ups and downs that led to big breakouts. With the way my 2017 started, it looked like it would be a bad year, but it turned out to be the greatest year of my entire life. There were six big lessons I learned in 2017 that profoundly affected my life and my business. Without further ado, let’s get into the lessons learned. #1 I needed to restructure my business and life routines around my health disorder. If you read my blog post on how to overcome health obstacles, then you know that I suffer from a chronic disorder known as dysautonomia. This basically means my autonomic nervous system does not work, which is what causes you to go into flight or fight. Over the years, I have tried to hang on to my former self. This would include my workouts, occasional heavy labor around the house, and phone calls with clients and potential clients for my marketing services firm. In November of 2016, I had one of those days of trying to power through a little too much. It led my heart to go into AFIB, and I was sent to the hospital. This started a domino effect that caused my entire health to fall off the table in just a couple of weeks. It took me three months to recover. At that point, I realized something had to change. A common theme in many of the famous books I have read was that you have to break out of your limitations to experience growth. This theme had been supplanted in my brain, and it was driving me straight into the ground. I had to look at my life and my business in a whole new light. Because of my unique health disorder, I had to flip the script on this principle of growth. I needed to accept my limitations to experience growth. Every time I tried to break out of my physical limitations, I would break down. 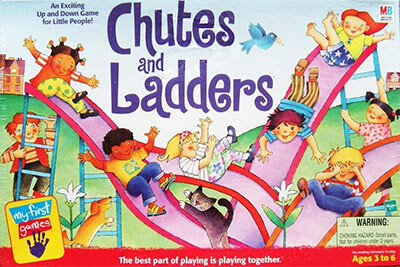 It was a vicious cycle of chutes and ladders. Or rather ladders and chutes. I wrote down my limitations and enforced them judiciously. One limitation was stopping all phone calls with potential and current clients. After each phone call, I would be exhausted, and it would take a day or two to recover. This had to stop. I decided to gradually close my marketing services firm because it required me to get on the phone with clients. I had tried to replace myself over the past six years, but it just led to a poor client experience. Today, I have two clients left. Both clients are established and do not require phone calls. My plan of accepting limitations to experience growth paid off. At the end of 2017, after I had essentially shut down my marketing services firm, I made more money than in 2016. Lesson learned: Focus on developing your strengths as opposed to working on or through your weaknesses. #2 I found out what the strength of my podcast was. I continued looking for strengths to develop in the remaining areas of my business, which were now blogging, podcasting, and my online course. I started with my podcast and did a complete audit of my episodes. From listening to the episodes and reading the feedback, I realized that I was dropping way too many tips and tactics in a single episode. This was keeping me from being able to take the time to explain them. I was going a mile wide and an inch deep instead of going an inch wide and a mile deep. I shifted the focus of my podcast episodes to explaining one great tactic or growth hack at a time. This allows me to go deep into the explanation of the growth hack, and have the time to break down examples of how to use it. The new format also brings the growth hack episodes to around 10 minutes. This is the perfect length for an episode filled only with actionable takeaways. I value your time, and I do not want to fill my episodes with a bunch of fluff. I also want to limit episodes, like this one, where I talk about me, to once every couple of months. By giving you one great tactic per week, it makes it easier to implement what you learn over the next seven days. The last thing I want to do is to overwhelm you with my eleven tactics per episode, which would take you months to execute. Then, seven days later I hit you with another nine tactics. #3 I handed over my health, my business, and my life to God. For the last twenty-five years, I have been trying to run and control my life. Over these two and a half decades, I had several opportunities to give God control of my life. I have prayed every night since I got involved in the Fellowship of Christian Athletes during my junior year in high school, but I never had a real relationship with God. It was not until I was reduced back to nothing after I was sent to the hospital a year ago, that I finally let go of the wheel and gave God control of it all. This led me down a path that changed my life forever. During the first part of the year, I did not know if it was appropriate to share my faith in my blogging podcast. Now I understand that when you find something this amazing, that you must share it with everyone. My whole life I was searching for something. I read over 1,000 non-fiction books, from how to be happy to how to worry less; each book gave me advice, but I still felt a void in my life. 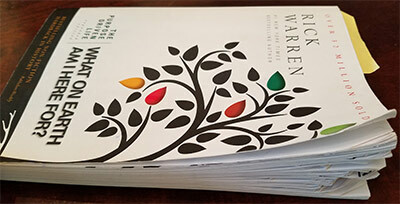 There was only one book with the answer, along with another book that served as a guide. That book was the Bible, and the guide was The Purpose Driven Life. Today, my life is filled with joy and gratitude. I am present in every moment. Lesson learned: I found my life when I laid it down. #4 I said goodbye to our office after the hurricane. Even though I was working from home office every day, I still had an office where my key employee managed everyone else that worked for me. That office was next to Lake Houston in Kingwood. When the hurricane hit Houston, Kingwood was the worst hit by the floods. The flood waters engulfed the office building in close to fourteen feet of water, and the community was destroyed. A large portion of homeowners just took the insurance and moved to a different suburb. Since I was running my business from my home office, the foundation for a remote business was already there. After the hurricane, I had my key employee run everything from her home. Initially, we were hoping to have the office back in a couple of weeks. Then, it turned into three months before the office was cleared for business owners to return. It was clear we did not need an office anymore. When the office building opened up in mid-November, I drove back to Kingwood to return my keys to our office space. As I drove through the city, it was hard to fathom this once robust community was now a ghost town. It remined me of the Stephen King movie Langoliers. The parking lots where hundreds of small businesses resided, that used to be full, were now empty. Not even one car in the middle of the week. Lesson learned: With today’s technology, an office can be an unnecessary expense. 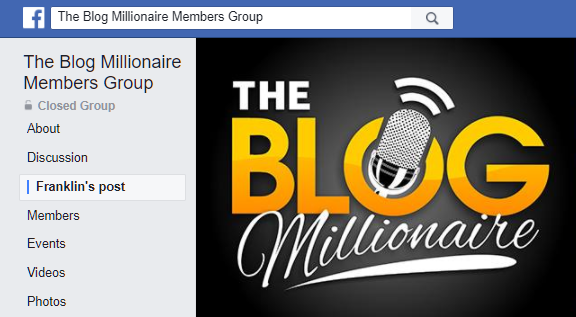 #5 The private Facebook group for my online course turned into a thriving community of bloggers. When I launched my course, I wanted my private Facebook group to differ from all the groups of the online courses I was active in. Essentially, the person who created the course was nowhere to be found. The best-case scenario was a monthly live Q and A that lasted twenty minutes. Most of these I missed. This left me feeling disappointed because I was hoping to interact with the person that convinced me to sign up to the course. I made a commitment that I would respond to every FB group post within 24 hours, 7 days a week. I would also take the time to write deep, detailed responses to each question. By doing this on a consistent basis, my students knew they had a direct line whenever they needed help or advice. The first year and a half of the FB group, it was mostly just me replying to each new post. This was what my students wanted and they were happy. However, I hoped that there would be more interaction between the bloggers in the group. This past year, my Facebook group reached the communal tipping point. Now daily, multiple group members are chiming in with their experiences on almost every post. Members are also sharing how the course has taken their blog from an idea to a thriving money-making blog. It is awesome when your students post a roadmap on how they used specific tactics to get phenomenal results. Lesson learned: by putting in the time every day to guide my students with one to one interaction in the FB group, my past students are now becoming guides and mentors to incoming students of my course. #6 I leveled up my online course. After I completed the audit of my podcast, I did an additional deep audit of my online course. I went through each module and tried to look at it through the eyes of my students. When I was finished, I had a great course. 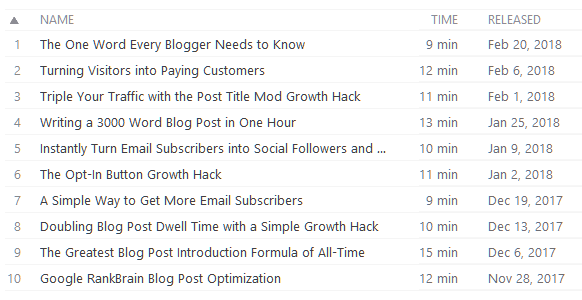 Compared to all the other blogging courses, my content was head and shoulders above the rest. This was still not good enough. I wanted everyone who took my course to say to themselves that it was the best course they ever took, which included high-end courses in every possible niche. I decided that I would spend a couple months reviewing the best online courses out there and identify what made them the best of the best. This was only the cream of the crop. After analytically breaking apart these courses, three things stood. The first was they had an awesome slide deck for every video module, which was filled with visuals. The slide deck set the tone of the video module. The slides alternated between bulleted key takeaways, stats, and screenshots. They flowed effortlessly, moving from one slide to another every twenty to forty seconds. This kept my attention while visually showing the teaching points in action. The second was that each module allowed you the ability to download the content in multiple ways. These downloads included audio, video, and the pdf of the slide deck. People are visual, auditory, or kinesthetic learners. These three types of downloads help each of these learning styles optimally understand and master the tactics taught in each module. The one negative I found from the best of the best courses was they only gave you enough to become great at one area. This was part of their business plan. For example, one of these well-known experts had three separate courses. Each is designed to get you to buy the other two. All three are exceptional courses and I could probably double or triple the revenue I produce by following suit. However, sometimes the best solution is not creating a carbon copy of what the rest of the industry is doing. From these three takeaways, I redid my entire course one module at a time. While most of the course creators I researched spent a month designing their course, I went on a six-month journey that used everything I learned from breaking down the best courses in the world to recreate my course from the ground up. 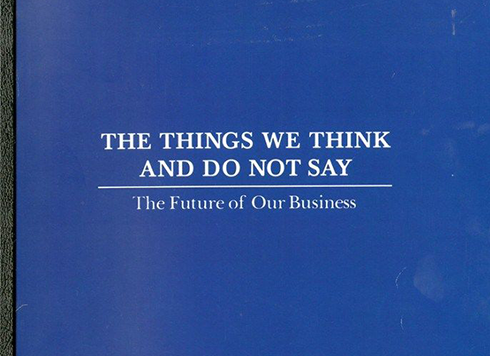 It was a Jerry McGuire moment, the moment when he wrote his mission statement, The Things We Think and Do Not Say. Suddenly, it was all clear. The answer was fewer clients. Less money. More attention. Caring for them, caring for ourselves and the games, too. My mission statement was just a little different from Jerry’s. It was fewer courses, less money. I wanted to create a course that is the only course a blogger will ever need to buy. By the time I was finished leveling up my entire course, I had done it. It taught everything that a blogger would ever need: keyword research, writing, SEO, link-building, email list building, analytics, course creation, webinar creation, marketing, engagement, Pinterest, Twitter, Facebook, Instagram, YouTube, affiliate marketing, and Adsense. Every module had more gold in them than the standalone courses that charged $1,000 apiece. From now on, when someone finishes my course, they would never feel the urge to buy another course again (you can check out my course here). It was not about me making more money. It was about me giving everything that I am and have to others. A good teacher does that. And I learned that from reading and studying the life of Jesus. He is the greatest teacher of all-time, and this past January I became his student for all of eternity.